One can’t go to Tenerife and not visit the internationally-acclaimed Siam Park. This water kingdom, opened to the public in 2008, is already established as one of the best water parks in the world. Set against a backdrop of impressive architecture, and offering all kinds of attractions from meandering rivers to free-fall slides, an epic adventure awaits all visitors. Occupying over 18 hectares, Siam Park is South Tenerife’s largest water park. It was opened by Her Royal Highness the Princess of Thailand Maha Chakri Sirindhorn and owned by Loro Parque, arguably the top destination in the Canary Islands. Has the world’s largest dragon statue. Has the largest man-made wave in the world. Is the world’s first green water park. Was TripAdvisor’s World’s Best Waterpark in 2015. The lush and tranquil environment juxtaposed with pulse-racing attractions and rides dazzles thousands of visitors daily. This tropical gem is perfect for the whole family, young or old and adrenaline junkies. 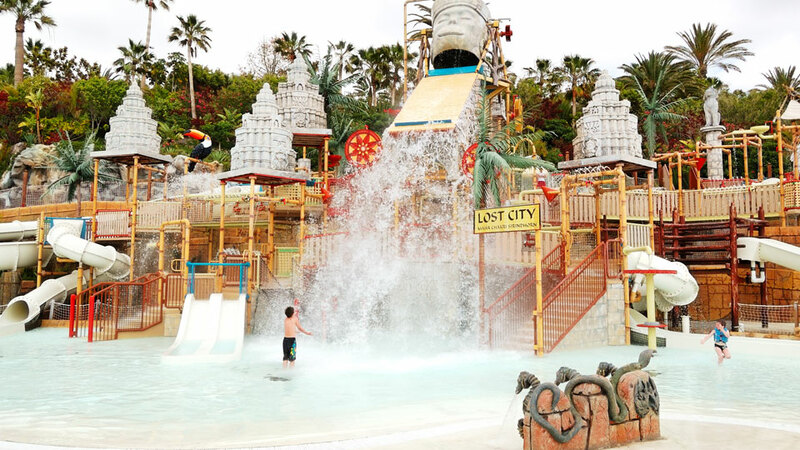 Siam Park has everything a waterpark has to offer, and more. Sea Lion Island – no warmer welcome than that from a bunch of fun-loving sea lions as they swim and play in the water. Siam Beach – Boasting of the whitest natural sand on the Canary Islands, this exclusive beach is the perfect place to experience relaxation. Floating Market – As if being transported to a traditional Thai Village, this is where visitors could buy snacks and souvenirs to take back home. The Wave Palace – Siam Park has many claims to fame but none that they’re prouder of than the wave pool. Rising to 3 meters high, visitors of all ages can jump right in and let the surf crash over them or paddle at the edges of picturesque white sand. Surfing is available but must be pre-booked on or before the visit. 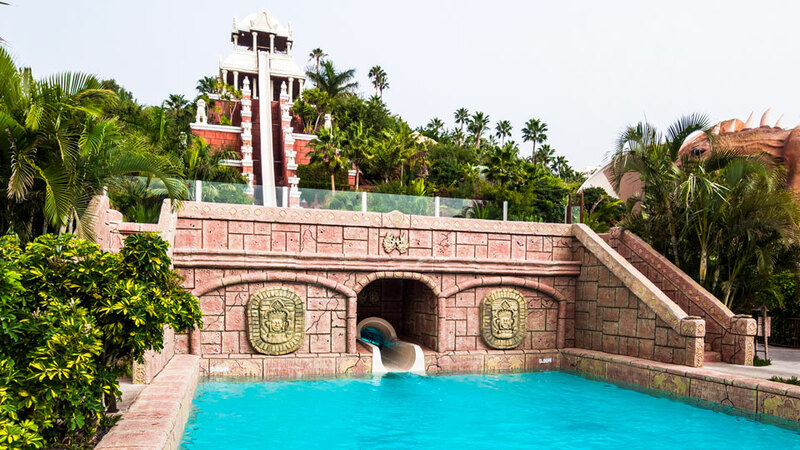 The Lost City – Here, children may enjoy 15 water slides, bridges, and towers. Furthermore, this is the only pool made for babies in the whole Canary Islands. Sawasdee – An area where the fun is endless, Sawasdee brings all the fun of the adult rides in smaller versions for the younger ones. Siam Park is located in Costa Adeje, across the lavish hotels and up-market resorts by the beautiful beach. Visitors opting to take a cab or drive on their own from Santa Cruz should take Exit 73 or 74 on South Highway TF-1. If coming from Costa Adeje, take Exit 73 on the South Highway TF-1. Ample car parking space is provided on site. Another more convenient and budget-friendly option is to take the free Siam Park shuttle service that picks up visitors from the north and south parts of the island. Reservations must be made at least 48 hours in advance by contacting the Park Administration at +34 922 373 841 ext. 512, 356, 357. 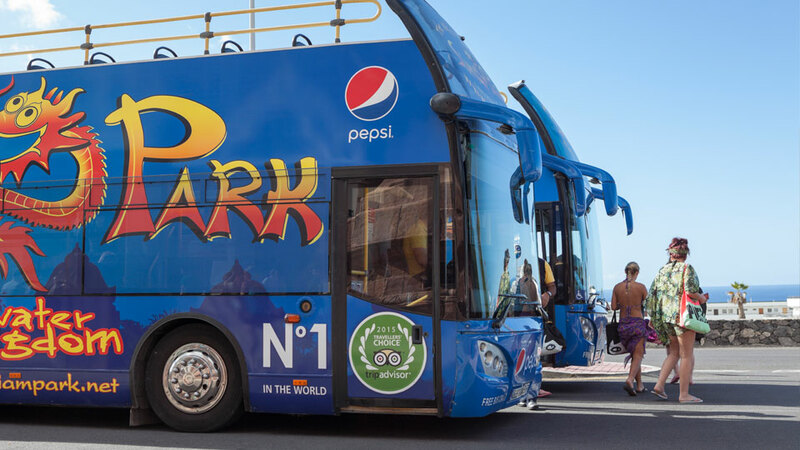 Double-decker bus service is also available for visitors staying at Los Cristianos, Las Americas, and Costa Adeje. For more information, please call +34 822 07 00 00 or email rp@siampark.net. Tickets may be purchased online through the park’s official website. Prices range from 13,50 to 119,00 Euros depending on the ticket type, and the visitor’s age and residency. Siam Park is open daily from 10:00 to 18:00. Although open all-year-round, it would be best to visit during the summer months from April to October. 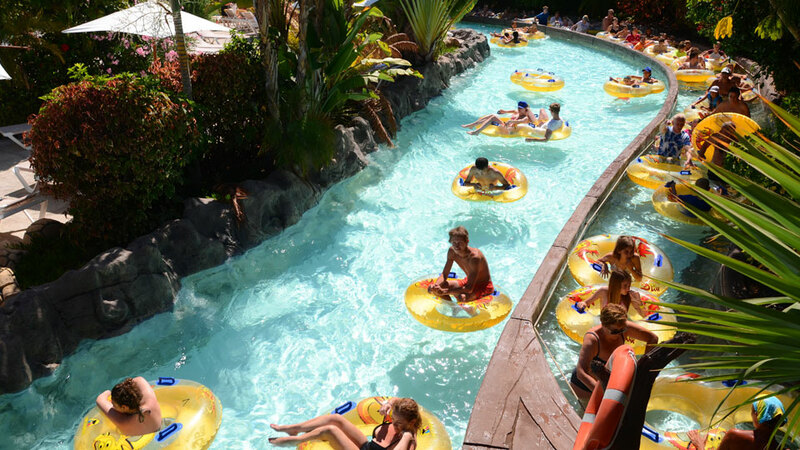 Siam Park offers each visitor the smoothest vacation they can ever have in Tenerife, even if it’s only for a day. Wide choices of snacks and meal options are available in the park. Visitors may relax over a cup of coffee or tea at the Tea House, have a drink or two at Thai Bar or feast on a meal of chicken, hamburgers, and barbecues at the Beach Club and Bar. Overnight stay is not available but visitors who wish to have a relaxing time during the day may rent a private cabana or villa. These cabanas and villas need to be booked in advance through the park’s official website. Double the fun at Siam Park by going prepared. Because the park grounds may get hot during the afternoon, especially during the summer months, visitors should wear comfortable clothes and shoes. For the safety reasons, visitors must remove loose items including prescription goggles before the ride. Also, guests may enjoy a day out in the sun without having to worry about their valuables. Lockers are available for rent for 3 Euros per day (plus 2 Euros key deposit). Anyone who’s ever been to Siam Park would say that it is the best water park in Europe, let alone the world. It is easy to see why. With a broad range of unforgettable adventures through different rides and attractions, Siam Park does not discriminate. Visitors looking for a thrill of a lifetime are rewarded by nerve-wracking experiences like the free-fall down the Tower of Power or zero gravity sensation on mighty The Dragon. For those looking for holiday relaxation, there’s nothing more inviting than a day lazing on the powdery white sand beach, meandering along the calm river or taking a refreshing dip into the waters of the Wave Palace.